I love YouTube and follow many plant-based YouTubers. Recently I’ve noticed that some of them have chosen to stop living a plant-based lifestyle. In response to this, there has also been an increase in videos calling out those who have decided to resume eating meat. 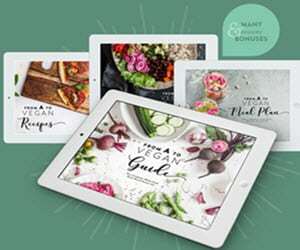 While we won’t mention people by name (on either side of the issue)–we would be doing the very thing we’re speaking out against–we do think it’s important to talk about the issue as a whole because it feeds into so many unhealthy behaviors that can hurt the plant-based community as a whole. 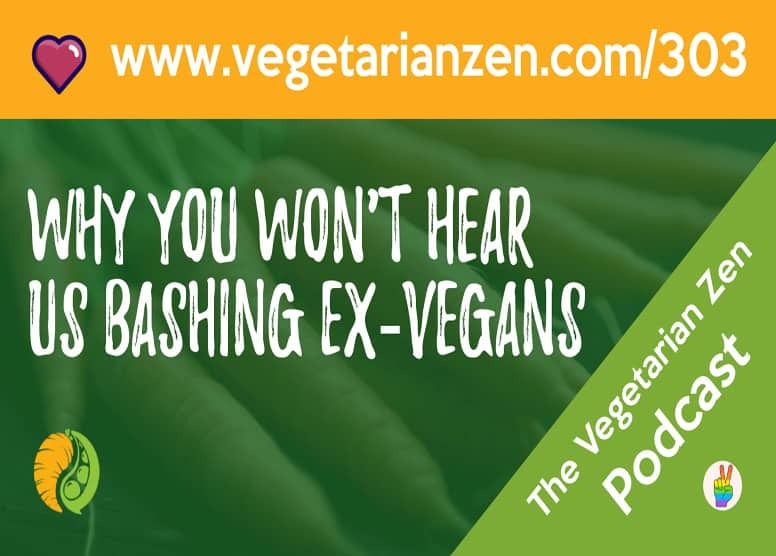 Back in episode 291 of the VZ podcast, we talked about the call-out culture and why shaming people publicly is usually just a bad idea, as it causes people to raise their defenses and not listen to anything you have to say. This situation in particular is ripe for criticism but we still believe it’s destructive. The good old-fashioned bully. There are a few videos I’ve seen that make fun of ex-vegans, inserting laughter and utilizing name-calling in their videos. This feeds the cyber-bullies and really no one else. If you’ve followed us for a while, you know we are NOT about that at all. In fact, we call our community a “no-bully zone,” meaning that we just won’t tolerate that type of behavior. The pragmatist. Definitely a bit more substantial but potentially more dangerous. I can easily identify cyber-bullies and write them off. Those who go point-by-point, trying to medically diagnose what it was that caused the former vegan to abandon the lifestyle, are more frustrating. They are not in a position to know what discussions occurred between the former vegan and their doctors, or what physical, spiritual, or emotional changes may have occurred. Personally, I do appreciate their input, but it’s important to remember that information you gather from anyone, especially Joe Shmoe on the internet, should be taken with a giant chunk of salt. The conspiracy theorist. Yes, some people have gone there, noting how “strange” it is that so many vegan influencers are suddenly abandoning veganism at the same time, and attributing it to some sort of “conspiracy” by the meat and dairy industries. We know that these industries are capable of a lot of things but this is a bit of a stretch. I’m unsure if these “conspiracy theorists” are joking or serious but it seems awfully unlikely that, years ago, some folks got together, decided to become mega-vegan influencers, consequently raked in a lot of money, and then all decided to jump ship at the same time. Many former vegans and vegetarians who chose to share their stories on YouTube have been dragged through the mud online. It will likely be difficult for them to recover their online presences. Seems like a high price to pay for such a personal decision. 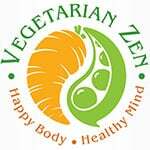 We hope this episode has helped reinforce our mission here at Vegetarian Zen. When we turn against each other no one wins, especially the animals. While we certainly aren’t advocating complacency, we are advocating tolerance and understanding. Being a compassionate person should extend to every living thing on this planet. 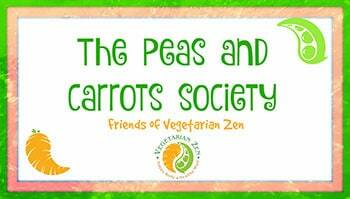 This episode is brought to you by our very first eBook, Buddha Bowls: The Vegetarian Zen Way! Trying to create healthy meals for your family can be an exercise in frustration. Meal planning takes time and it can be challenging to find well-balanced meals that are quick, easy, and can be adapted to satisfy various nutritional needs (for example, gluten-free) and preferences (vegan, vegetarian, or omnivore). Even more frustrating is having to throw away spoiled produce that you had every intention of cooking but never found the time or the “right” recipe to use it in. Money down the drain! Despite producing our own vegetarian podcast for the last six years, Larissa and I often found ourselves here too; until, that is, we discovered Buddha Bowls! What the Heck is a “Buddha Bowl”? Buddha bowls, sometimes called power, nourish, hippie, sunshine, or macro bowls, are essentially bowls filled with vibrant, healthy food. While they are typically plant-based (and dairy-free), I have seen some variations that include fish or meat which can work well for households with both plant-based eaters and omnivores.